A new service has commenced in Haslington. 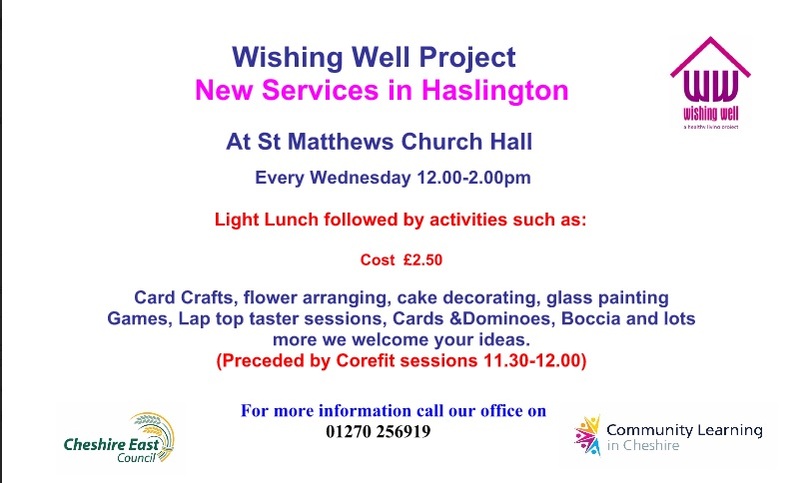 Every Wednesday from 12 noon to 2pm at St Matthews Church Hall, for just £2.50, attendees can enjoy a light lunch and various crafting activities (see below) provided by the Wishing Well organisation. 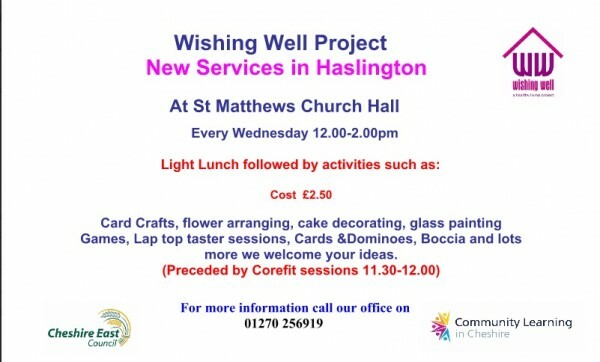 ‹ New Support Service for Haslington	› Coffee & Cake – Thankyou!